See below for hotel reservations, expo and sponsorship information, and more! 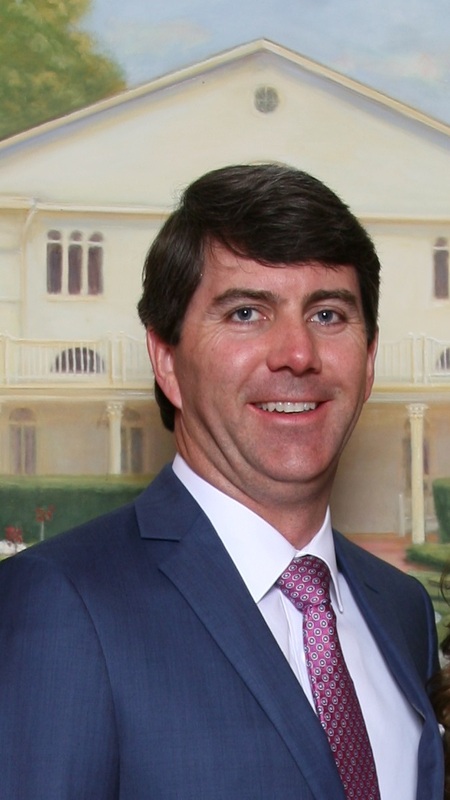 As Michelle and I prepare to welcome all of you to this year's Annual Conference in Beaver Creek, I have been reflecting on my time serving on the SLMA Executive Committee and how incredible the people involved with SLMA really are. While attending the SLMA Roundtables, I have observed first hand how hard our members work to manage their sawmills and timberlands for the betterment of their companies and communities. At the D.C. Summit, I saw how devoted SLMA members are to working for the viability and growth of our industry, when back to back hurricanes battered the Southeast and members still travelled to Capitol Hill to lobby for our industry on tax reform, farm bill, and regulatory reform. I have witnessed how dedicated SLMA's membership is to making our industry better, as attendance at our meetings and roundtables continues to grow, our political involvement and influence continues to exceed expectations, and the current generation of mill owners trains and mentors the next. When in Colorado enjoying the beautiful, natural scenery of the Rocky Mountains and celebrating another strong year of lumber markets, I hope you will also take a minute to reflect on how important the SLMA community is to your company and continued success. Thank you for your support, and we look forward to seeing you in Colorado! 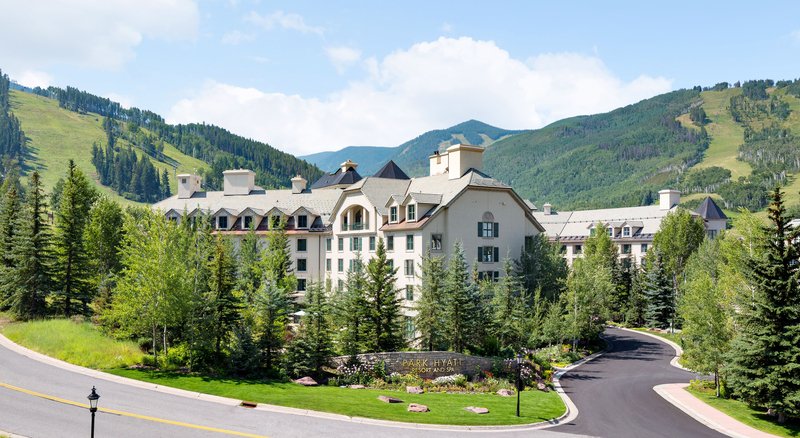 The Park Hyatt Beaver Creek is officially SOLD OUT! 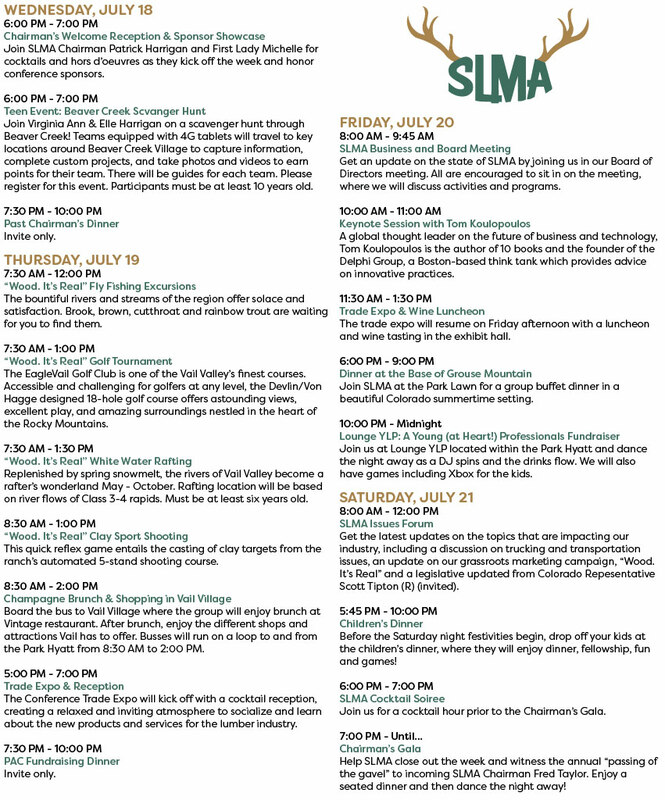 The SLMA block at the Beaver Creek Lodge is SOLD OUT! There is very limited availability at The Charter at Beaver Creek. Please contact Alexis Sivcovich at (770) 631-6704 for more information. These hotels are all within walking distance from each other. Beaver Creek is located in the central Rocky Mountains about 120 miles west of Denver by way of I-70, just south of the town of Avon. 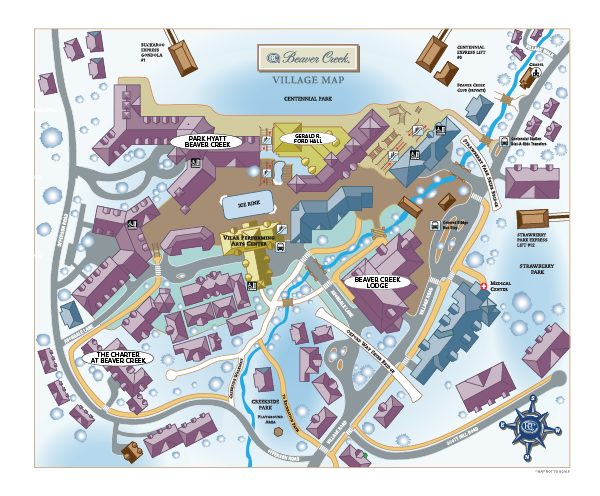 Guests enter Beaver Creek through a welcome gate and will follow Village Road two miles to the beautiful alpine village filled with dining, shops, and entertainment. Colorado Mountain Express: Call (970) 754-7433 or click here for reservations.